The complexity of any organization’s operating model is heavily influenced by the environment in which it conducts business. A large-scale business calls for a simple and effective yet efficient operating model. As complexity rises, balancing responsiveness and cost can become a challenge. In a recent post, we touched on the topic of complexity within the context of the Five Pressing Issues Confronting Multinationals in Latin America. In this post, we dive a little deeper and suggest a few strategies to turn risk into opportunity. Latin America is definitely a complex business environment. It was recently tagged by TMF as the most complex region for compliance in the world. According to Doing Business, the average ranking for ease of doing business is 104 out of 189 economies globally, with Venezuela, Haiti and Bolivia ranking 186, 182 and 157, respectively. On the other hand, several economies in the region rank among the best in the world in a number of areas measured by Doing Business. Colombia ranks number two for getting credit, Puerto Rico seventh in resolving insolvency and Jamaica ninth in starting a business. 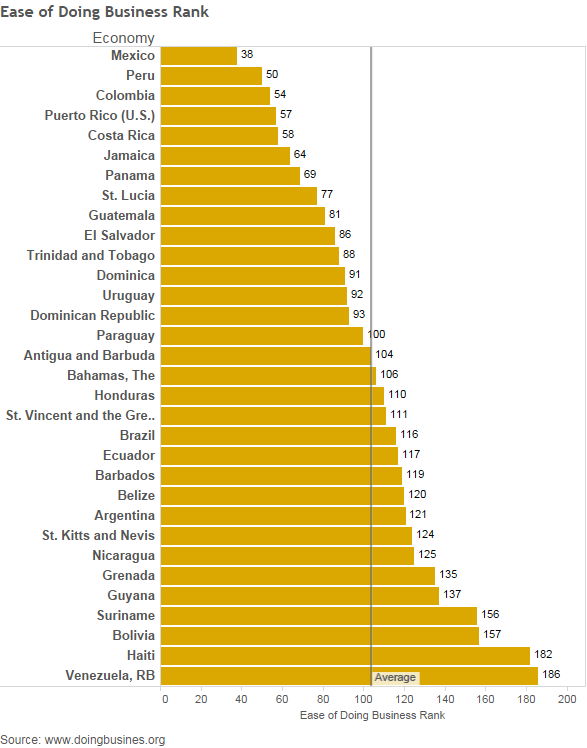 Costa Rica showed the most improvement this year in terms of regulatory reforms, implementing 13 in the past five years, followed by Jamaica (12), Mexico (12), Colombia (9), and Panama (9). The story is really one of variety, and the opportunity lies in understanding some of these nuances. 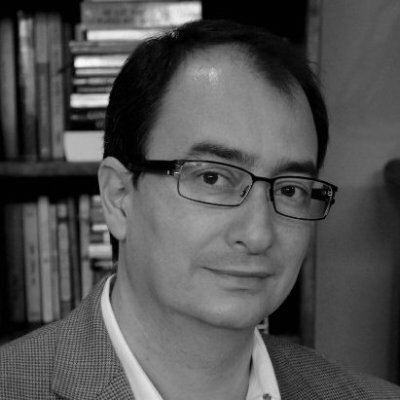 Scale is an important and often overlooked characteristic of Latin America. In terms of GDP, Brazil—the largest economy in the region—is about three quarters the size of California. Mexico is half and Colombia’s economy is roughly the size of Missouri’s. This limited scale is a serious operating challenge. An overzealous distributor can overbuild a network seeking high levels of service only to end up with an economically underperforming supply chain. In the service and support areas, country offices can be overstaffed due to lack of economies of scale, adding up country by country and dragging the efficiency of the region down. Scale and variability are two of the main drivers of complexity in Latin America. Consider the example of a regional delivery business in the U.S. covering five states and headquartered in Texas. The size and proximity of most major cities within the region greatly facilitates business, as each state is large enough to justify a well-staffed office and infrastructure. 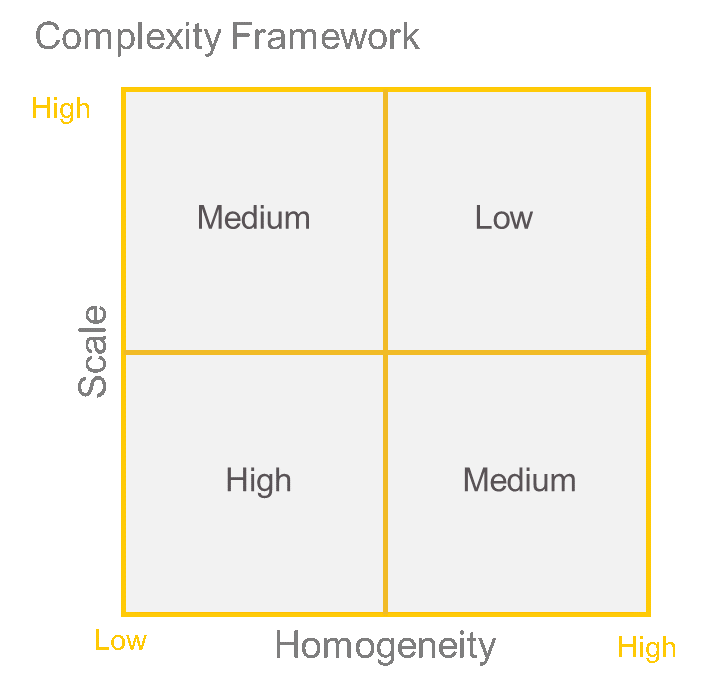 Rules and regulations are similar across the region, placing it in the upper quadrant (high scale, high homogeneity) of the complexity framework on the right. Now, picture the same business in Latin America, replacing states with countries. Scale suffers immediately, making a similar staffing model prohibitive. On top of that, we have heterogeneous regulations, international trade, varying transportation infrastructure qualities and even culture to worry about, placing it on the lower left quadrant (low homogeneity, low scale) of our framework. Note that high complexity arises from a combination of both drivers. A business that is self-contained in Brazil, for example, can cope with the complex regulations of the country more easily because they are homogeneous. Potential solutions for managing in a complex environment should include reducing external complexity—by focusing on clusters for example—or increasing the flexibility of the operating model. The key to managing complexity in the region is to come to terms with its uniqueness and to be open-minded about approaches that might seem unorthodox in a more typical environment. To purposely build excess manufacturing capacity is not something common wisdom would dictate, but when seen from the perspective of added flexibility that allows companies to respond to changing external factors such as exchange rates or tax regulations, this approach becomes an obvious one. Localization of production might be at odds with cost advantages provided by scale and standardization, but it can significantly reduce external complexity and create value by serving the market better and faster. Creating alliances with local 3PLs increases the flexibility of the supply chain, while leveraging country experience and relations that would take time and money to develop in-house. Distribution complexity can also be tamed by designing the network around geographical clusters—typically Central America (including Mexico), Brazil, the Andean Region and Southern Cone—with strategic similarities and more manageable distances. Because many multinational operations in Latin America are set up with low cost in mind, technology is often underplayed and even neglected. However, a strong technological infrastructure that provides real-time visibility along the supply chain can provide the necessary agility to maintain high service levels with relatively low inventory in an environment where large safety stock is the rule. Given the low adoption in the region, a strong technology infrastructure can provide significant competitive advantage. 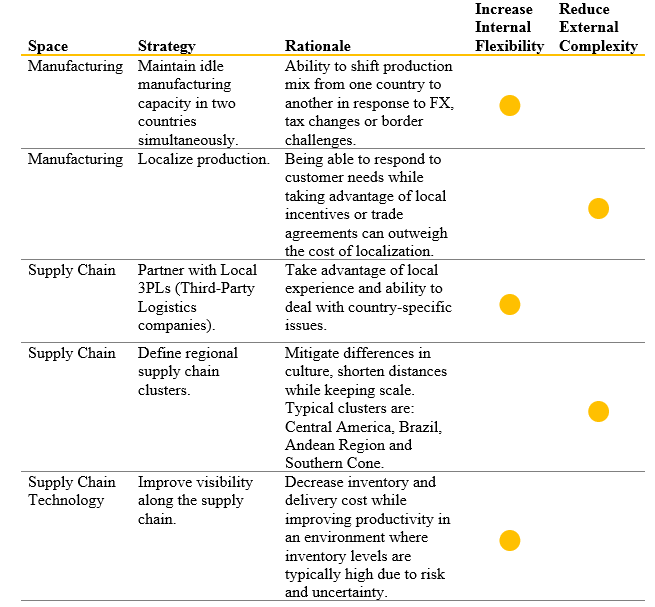 Managing complexity in Latin America is one of today’s top challenges for multinationals. But an open-minded approach that takes into account the nuances of the region and one that designs around homogeneity and scale has the potential to untap significant value. Of course, the value of any opportunity is only realized when the opportunity is taken and a process is set up to preserve it. We hope these ideas help spark some action as you rethink your approach for doing business in the region. How are you managing complexity in Latin America today?